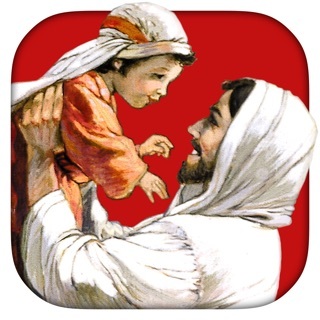 The Illustrated KJV App is the complete illustrated KJV Bible. 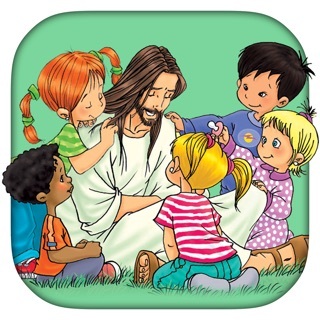 •	An excellent Bible to share with your children and grandchildren to grow their faith. • Complete text of the classic King James Version of the Bible, each page featuring beautiful color illustrations. 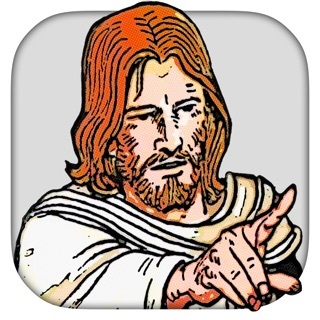 •	The app is divided into 66 books, with more than 1,800 pages to read or listen to. • Read It Myself and Read to Me modes. •	You can listen to it even when you are offline and you do not have Internet access. 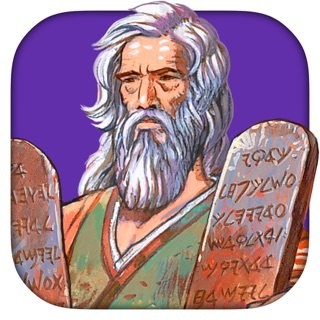 •	The Old Testament size is 2.2GB. •	The New Testament size is 1.4GB. •	The total Bible size is 3.6GB. If you are low on space, you can download one book and then remove the book and download another book. 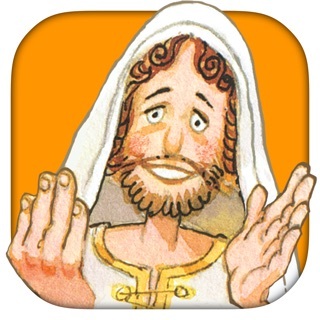 I wish this could be easily searched like a regular bible app, but the narration and illustrations are great. 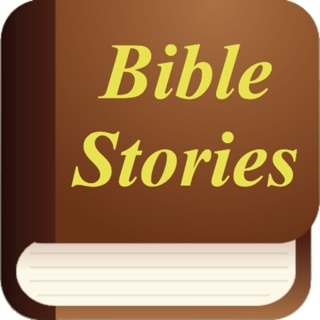 Wow… This Illustrated Audio Bible is AWESOME! 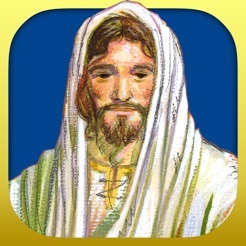 I have purchased the Illustrated KJV Premium application and I was blown away. 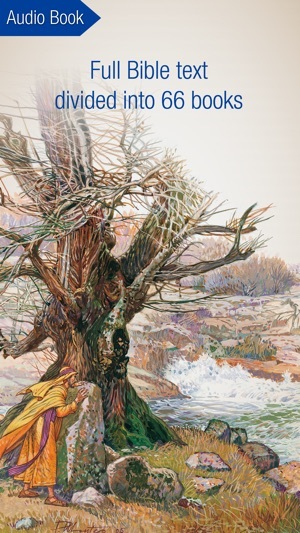 The artwork in this Bible is nothing short of stunning and the audio is superb and is very high quality and very well done. 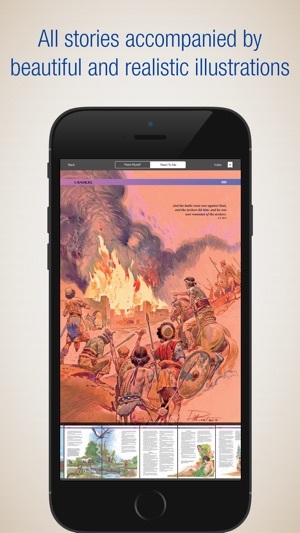 The pages automatically turn as the audio Bible is reading to you so you can follow along with the text and see the amazing pictures that bring the Bible to life. Please note that if you download all 66 books, it will require about 3.6GB and I am so glad they did not make low quality audio to reduce the file size. If you are low on space on your iPhone or iPad, you can simply download one book at a time and remove the previous book and then download the next book. The audio can be enjoyed even when you are offline and do not have Internet access because all the audio is downloaded with the book. I have found the best option is having an iPad in landscape mode so you can see the entire illustration on one page and all the text with it and have the audio playing. It is really an amazing experience of seeing the Word of God being brought to life while you are hearing it spoken and while you are reading along. You can zoom in on the pictures to look at the artwork closely and the pictures are high quality and do not look grainy. You can pause the audio at any time by simply touching the screen and selecting pause and you can then bookmark your spot so you can open the book and pick up where you left off. 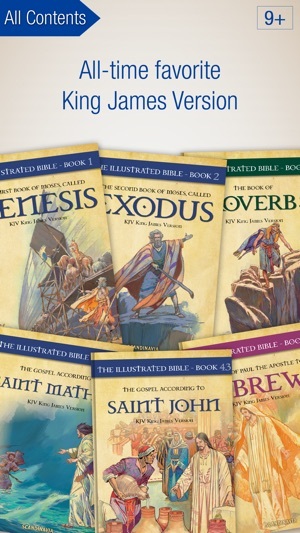 I am amazed that you get to fully illustrated Bible that is over 1,800 pages with the high quality audio for just $9.99. The Word of Promise Audio Bible NKJV application is $39 and I thought that was a steal since they were selling that for over $100 on audio CD when it first came out but $9.99 is almost just giving it away. The amount of effort and labor must have been great to create all the Bible artwork and to create the audio for entire Bible and put it all in an easy to access format. 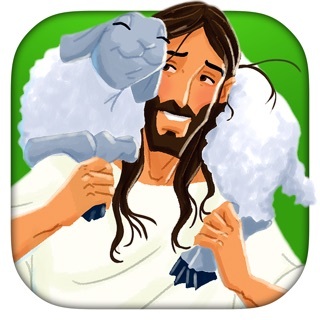 You can download the free version of this application to give it a try (that is what I did) and that will allow you to experience the artwork and the audio yourself before you decide to spend the $9.99 for the entire Bible. You will be amazed and will find yourself looking forward to hearing the Word of God and seeing the beautiful illustrations that bring the Bible to life.